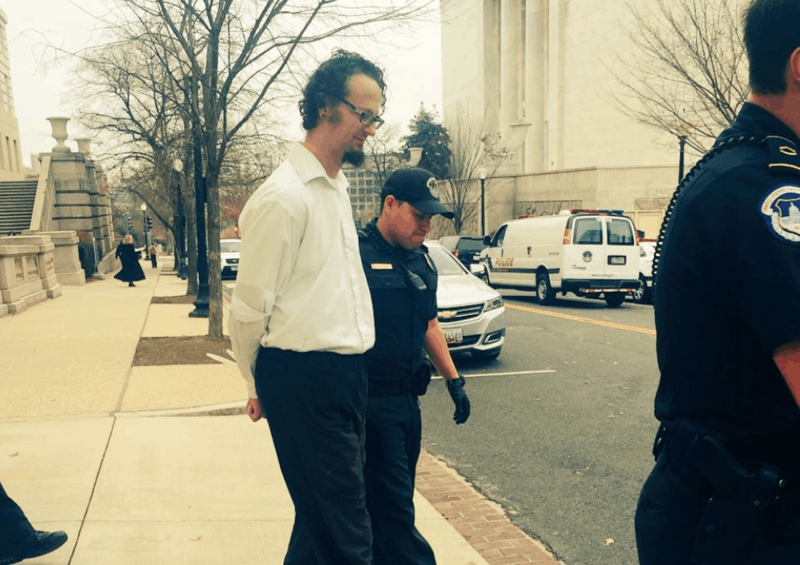 Yesterday, a group of Christian leaders that included writer and speaker Shane Claiborne was arrested in Washington during a prayer vigil demonstration. Their goal was to urge lawmakers to pass the Dream Act, which would protect undocumented individuals previously covered by the Deferred Action for Childhood Arrivals (DACA) program. The “Dreamers” are people who were brought to the U.S. by their parents when they were just children. However, President Trump recently ended the program that protected nearly 800,000 young people from deportation. He urged Congress to come up with a new solution. However, in the months since, Congress has done nothing with DACA, and now, the Dreamers could be in serious jeopardy. Though, officially, DACA ends in March, with lawmakers threatening a government shutdown because of squabbles over funding legislation, if legislative action isn’t taken by Dec. 22, those 800,000 Dreamers could face a very difficult situation. A shutdown could mean another prolonged time of inaction, and because the U.S. Citizenship and Immigration Services could take as long as seven-month to process all of the applications for the individuals, their legal status in U.S. could come into question. As Christian Community Development Association President Noel Castellanos explains in the video below, the group of Christian activists hosted a prayer rally, and then went to the office of Speaker of the House Paul Ryan with boxes of “dreams” written on pieces of paper by actual dreamers. Following the delivery of the 3,000 dreams and the prayer rally, several members of the group were arrested. Today I was honored to join dozens of Dreamers and faith leaders as we delivered 3000 dreams to legislators in our nation’s Capitol. We prayed. We cried. And a dozen of us were arrested. We dreamed of a day when our legislators are moved in compassion for the 800,000 Dreamers and the 12 million immigrant families in our country. It was profound — to knock on the door of Paul Ryan and have no one answer, despite the prominent “WELCOME” sign on the door… a metaphor for the immigration crisis in America. It is a reminder that even though we have a Statue of Liberty saying, “Give me your tired, your poor, your huddled masses yearning to breathe free, the wretched refuse of your teeming shore”… our policies send a different message. Many do not feel welcome here. Today, we read the dreams of these young Dreamers from around the country. And we poured those dreams, written on notecards, outside the office of Speaker Paul Ryan. We lifted up the dreams, and our prayers to the Lord. As we were handcuffed, we sang “Silent Night.” It was a holy time. We’re reminded that Christmas is about the birth of Jesus, who entered the world as a refugee, a displaced Galilean, born in a manger because there was no room in the Inn. It was an honor to be a part of this witness, and to stand with my Dreamer friends today… especially during this season of Advent and Christmas.